Fall Fun Fest/Oktoberfest is This Sunday at the Soldiers’ Home | Park View, D.C. 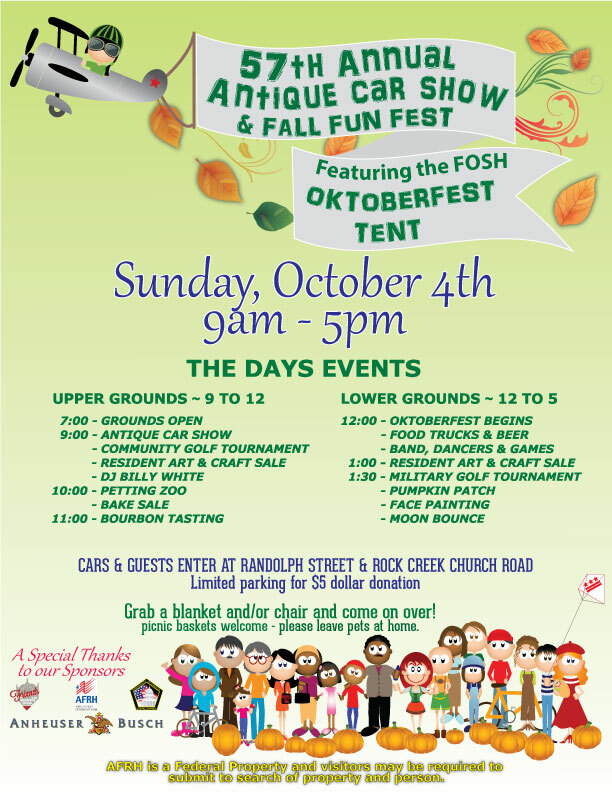 If you’re around this Sunday, October 4th, the Friends of the Soldiers Home and the Armed Forces Retirement Home are hosting their annual antique car show, fall fun fest, and Oktoberfest on the grounds of the home. Its a great way to embrace October and enjoy fall. See the flyer below for details or visit the Friends of the Soldiers Home Web site. This entry was posted on September 29, 2015 at 7:01 am and is filed under Sports leisure and entertainment. You can subscribe via RSS 2.0 feed to this post's comments.